BIG PRICE CUT! Welcome to your new Westlake Village Home ! 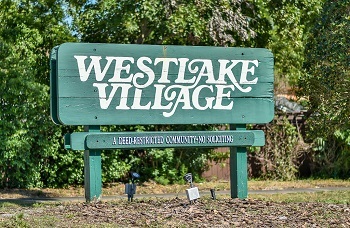 Westlake Village one of Palm Harbor's most appealing communities with 30 acres of park-like grounds and prime real estate. Consisting of homes, townhomes, condos and villas, Westlake Village has it all! Whatever you are looking for, we can find it here. Westlake Village is off Westlake Blvd. which is off of Nebraska Avenue. Homes here offer spacious living, with three and four bedrooms, and two car garages. Many homes have been renovated and include all the upgrades you desire. Built in the 1970s and 1980s, this is a mature established neighborhood. Tree lined streets add a unique personality to this quaint neighborhood. Property for sale are moderately priced. Enjoy your privacy in this deed restricted community with many pool homes available or relax at the community pool and clubhouse. Westlake Village provides plenty of family recreation with lots of room to roam, tennis courts, basketball courts, and a playground. With so much to do in your own community, hope you can find the time to venture out just a few miles to the most beautiful beaches and parks around the Palm Harbor area. Westlake Village is close to shopping, malls, downtown, restaurants, and movies, about thirty minutes to Tampa, FL. This is a great location! Selling your home in Westlake Village? Are you considering selling your home in Westlake Village? Even if you are in the earliest stage of thinking, now is the time to reach out. You can trust our experienced agents at Lipply Real Estate to work with you and to be facilitators that make you the most out of a possible sale. Contact one of our agents today at 727-314-1000 to see how you can get started!